Given Russia's 20th century history, it is easy to see why the population fears the country's dissolution. But could it happen? As the elections for the State Duma draw nearer, politicians are trying harder to sell their programs to the public. Basically, there are two products for sale: dimensionless promises and fears. One of the most popular fears is the fear of the dissolution of Russia. It’s clear that after the events of the 20th century, from 1917 to 1991, Russians are “once bitten, twice shy.” Add to that our subconscious guilt complex about our vast, underdeveloped areas, and its clear why the fear of the disintegration of Russia holds the same place in society today that nuclear war held in the 1960’s and 1970’s. Politicians have picked up on this fear and they are happy to explain to voters 1) how Russia’s current government is failing us or 2) that with a change of government, Russia will fall apart. It is said that generals prepare for past wars. Politicians prepare for past crises: They are transferring the circumstances surrounding fall of the Russian Empire or Soviet Union onto the reality of Russia today. But this is an empty scare tactic. The first version of the collapse has one or more regions or republics withdrawing from the Russian Federation. But the Constitution simply doesn’t offer an exit from Russia. Chapter 1, Article 4 reads: “The Russian Federation shall ensure the integrity and inviolability of its territory.” There is currently no legal way for a region to withdraw from Russia, and that means that seceding from Russia is different from seceding from the Soviet Union. Seceding from Russia is impossible not only legally, but also geopolitically. The vast majority of Russia’s regions and republics are surrounded by the Russian Federation. How would they, in fact, withdraw from Russia? Those that have an external border are bordered by former Soviet republics or China – none of which would necessarily support a separatist movement. China in particular would be unlikely to risk a war with Russia to support a separatist republic. Everything that China needs is easily purchased in Russia, and so war would be too costly in purely financial terms. Additionally, the vast majority of Russia’s regions are subsidized by the federal government, so independence from the Russian budget would not be especially advantageous for them. Overall, the Russian people like to grumble about Moscow, but wouldn’t dream of seceding from Russia. As long as Russia has a central government, individual regions cannot break off, so the second course of action would be to do away with Russia’s central government and completely dissolve the country. But it would not be legal to dissolve an entire country: In contrast to the Soviet Union, Russia is not a union of different states, so a total collapse of the government would not follow the 1991 model, but rather the 1917 model with the dismantling of all laws. Of course, nobody supports this course of action. Contrary to the myth that Russophobes in the West dream of the collapse of Russia, the West (and the East, for that matter) would be completely horrified by the prospect of Russia’s collapse. There would be total economic chaos in the territory of “the former Russia.” Who will be in charge of Gazprom, Sberbank, Russian Railways, Rosneft, and other companies that are currently mostly owned by the Russian state? Economic turmoil would mean that millions or tens of millions of people would flee – but to where? This would be a repeat of the years from 1917-1920, but only with nuclear warheads. It would be the complete and irreversible destruction in earnest of the state of Russia, the people of Russia and the culture and economy of Russia. And it would be a direct threat to the survival of the human race. Those would be the obvious consequences of such a catastrophe. And for what reasons? For Russia to dissolve in 1917, it required the illegitimate rise to power of extremists who eliminated private property and sparked a civil war. Are there any extremists today who might seize power in Moscow and create impossible conditions for the coexistence of Russian people and citizens? There are none among the legitimate political parties. So who? Nazis? Anarchists? Just someone crazy? Indeed, the limits of human stupidity have yet to be established, but individual fanatics can’t just take over, as the army and intelligence agencies are still there to stop them. And as a whole, the people of Russia, let alone the elites, are not prone to a collective suicide. That’s why I think all this talk of the collapse (or self-dissolution) of Russia is vicious fraud. It’s not a threat to us. But the continued deterioration of our basic social institutions – health care, education, and the government apparatus – is an actual threat. But why think about that? It’s easier and more glamorous to dream of the Apocalypse, and most importantly, that doesn’t require us to take any action. 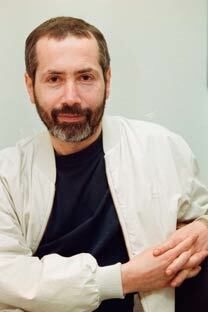 Leonid Radzikhovsky is a political commentator for Rossiyskaya Gazeta.